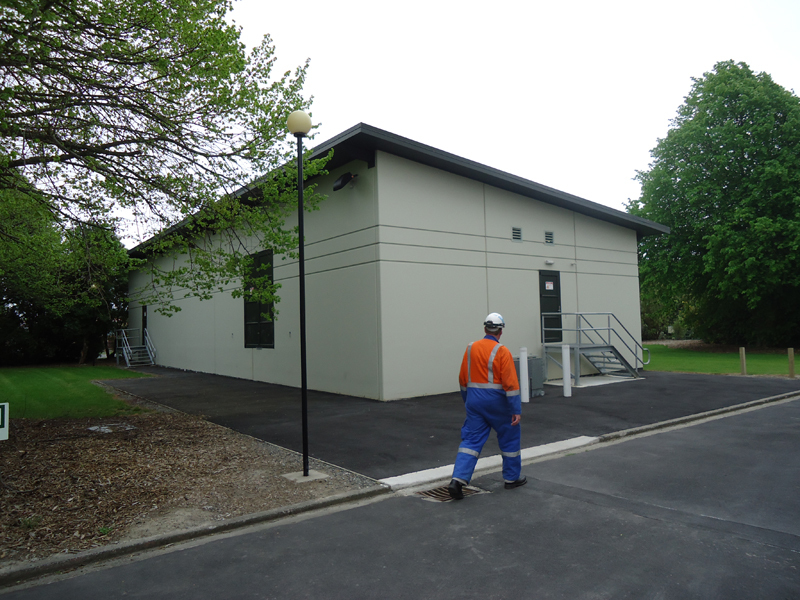 Piletech were contracted to design, supply and install 32 piles to support the new switch-room building at Papanui Substation. 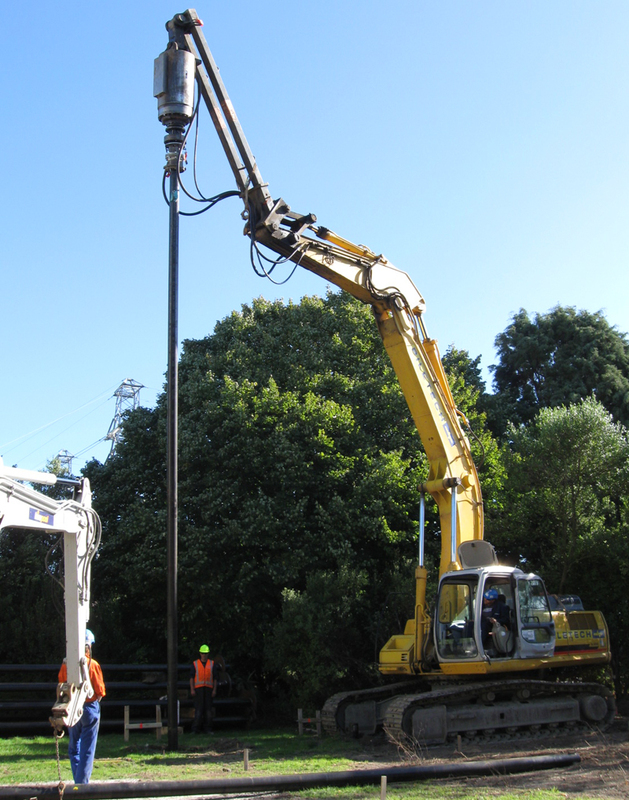 Piles were installed into dense gravels at a depth of 18m, with a very consistent founding depth across the building footprint. Following the earthquakes, Piletech visited the site with the designer, John Mackenzie of Elmac Consulting. John was pleased to show us through the building which had suffered no visible damage. The building was clearly perched above the surrounding ground, which appeared to have settled approximately 100 mm relative to the building. 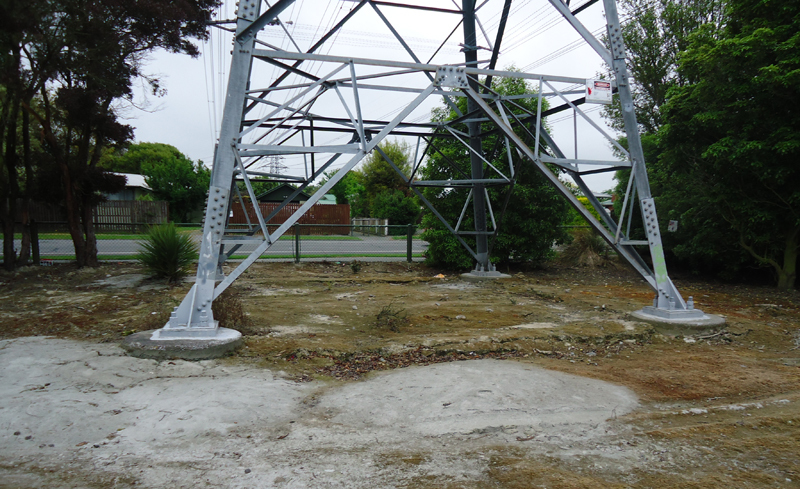 Whilst on site, we also inspected a nearby pylon that Piletech had underpinned the same year. 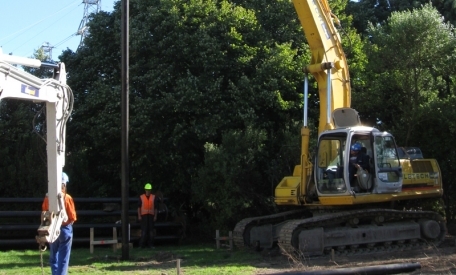 The pylon was one of a number that were underpinned as part of a Transpower scheme to protect Christchurch’s energy infrastructure should earthquakes occur. The accompanying photo shows the pylon, complete with sand ejecta from liquefaction boils in the foreground, as well as the imprint of the ground beam showing through on the ground surface, indicating the extent of the settlement of the surrounding ground.